VMware and Pivotal deliver a robust set of capabilities that accelerate next-generation software development and delivery to drive business innovation. 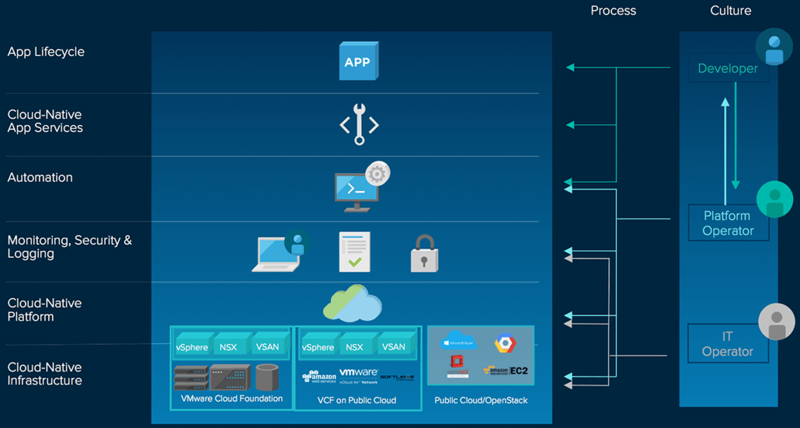 Together, Pivotal Cloud Foundry (PCF) and VMware virtualization provide a layer of abstraction to help developers be more productive. That’s developer-ready infrastructure. For companies that choose innovation over the status quo, developer-ready infrastructure results in better products and services, delivered faster than ever. Here’s how VMware and Pivotal make it happen. VMware and Pivotal recently extended their strategic alliance by focusing on delivering exactly what both developers and IT operators need: Developer-Ready Infrastructure. How are enterprises revitalizing their on-premises data center? With Pivotal Cloud Foundry (PCF) and virtualization tech from VMware.